Fulton County Airport will no longer use fixed base operators to maintain the facilities, instead relying on county crews for upkeep. A history of difficulties with fixed base operators has led the Fulton County Airport Authority Board and the county commissioners to permanently jettison their services. Following their dismissal Dec. 3 of the airport’s most recent fixed base operator (FBO), Naves Aviation, both parties determined an FBO is not necessary for general operations. Instead, the commissioners will oversee the airport’s maintenance and upkeep through county maintenance crews, and the authority board has staffed the facility’s lobby. Despite the numerous FBOs that have come and gone from Fulton County Airport, “It never seems to work out, and it’s getting worse,” Stickley said. He said fewer people are flying private aircraft due to the expense, so FBOs are not making a good living. 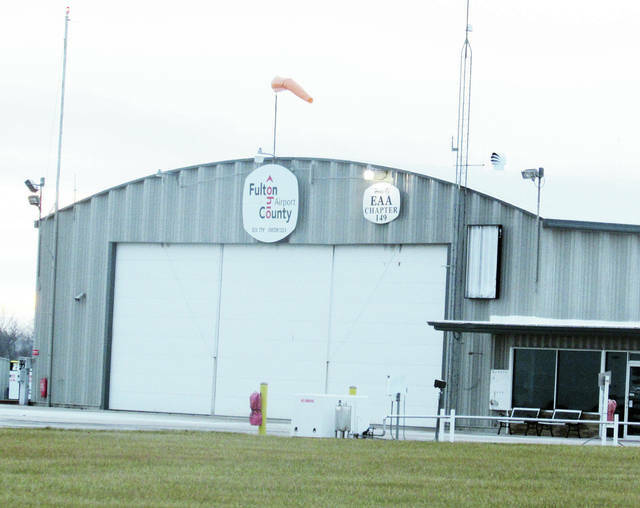 The county airport’s contract with Naves Aviation was not renewed, in part, because the Airport Authority Board was dissatisfied with the service the FBO provided to clientele. County Commissioner Jeff Rupp noted at the time that Naves failed to provide some contracted services including maintenance on lawn equipment and buildings and properly staffing offices. Stewart Aviation Services, the airport’s FBO prior to Naves, resigned the position in 2014, shortly after its contract was renewed by the board. Owner Jerry Stewart said he walked away because he disagreed with the facility’s direction away from expanding to attract more commercial traffic. The seven-seat Airport Authority Board will now handle the 51-year-old airport’s fuel sales, hangar rentals, and “through-the-fence” operators such as LifeFlight, who aren’t located on airport property but utilize the facilities. Last month, the board hired an individual to man the airport lobby desk weekdays, and during warm weather may hire a person to cover that desk on weekends and another to mow grass. Stickley said he’s also speaking with people to fill the roles of flight school instructor and aircraft mechanic. He said both the Airport Authority Board and the county commissioners want to reinstate past airport amenities but not collectively through an FBO. “We’re trying to maintain the county airport, and do it with other individuals that we hire,” he said. The airport’s governing bodies are confident that one significant change will greatly benefit the facility. The Fulton County Economic Development Corporation will relocate this month from Courthouse Plaza in Wauseon to offices adjoining the airport lobby. “If anybody comes looking to seek business…they’ll know that Fulton County has an airport they can utilize,” Stickley said. FCEDC Executive Director Matt Gilroy said the airport offices will provide a better location, more space, and the airport lobby. The organization will also hire an office manager for the facility. The arrangement will let both the airport and FCEDC streamline labor expenses and function better, Gilroy said. “At the same time, I believe both organizations will be more effective in providing service to the customers that we each serve and the general public,” he said. Pilots traveling in and out of the airport are often business owners and executives, Gilroy added. “We believe that hosting our offices at the airport will provide us the unique opportunity to speak with folks that are interested in investing in a business. We don’t know what this might bring for the future, but we believe this is an opportunity that we just could not refuse,” he said. There will also be a building constructed to house the county’s snowplow equipment. It’s funded through grant money from the Federal Aviation Administration. Rupp said four different FBOs have overseen airport operations since 2005. He said their duties, which included managing the facility, selling fuel, providing aircraft for rental and lessons, and running a maintenance shop, among others, meant wearing lots of professional hats. The decision was made to hire separate businesses that specialize in particular services. He said maintaining the airport isn’t much added work for county maintenance crews and, in fact, an additional person was recently added to the roster. Stickley said there’s no timeline to fully establish the changes, “but by the end of the the year I just hope to have the airport as a functional facility for the residents of Fulton County and for air traffic.” In addition to receiving increased business, he wants the airport to host community activities, such as fly-in events, car shows, and aircraft displays. “We’re hoping to make the airport a friendlier place for the residents of Fulton County. We’re working very diligently to do this,” he said.